APFM is proud to announce our new, 2017 Officers of the Board of Directors. These Officers comprise the Executive Committee and, in concert with the Board, make major policy decisions for APFM. 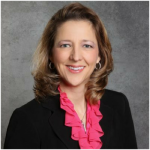 Our new APFM President is Stacey Langenbahn, who has been on the Board since the end of 2013. Stacey lives and works in Texas, where she is President of Détente Mediation Services, LLC in Southlake, Texas. After a quarter-century of work as a litigating attorney, she found mediation and quickly embraced it. As a member of the Board, she has worked tirelessly to resolve discrepancies in our membership records, improve member benefits, help with discerning what we need our website to be and do, and get us organized in a way that supports smooth functioning and continuity of operations. One of her passions on the Board has been to put in place a program of “Mediator Mentorship,” pairing up experienced mediators with new mediators to help ease their entry into a competent and satisfying practice. Stacey will bring to her presidency her deep passion for mediation, her skill in innovation, and her Energizer Bunny, Type A personality to lead us in getting things done! Welcome, Stacey. To learn more about Stacey, read this interview. 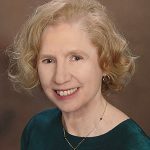 Our new Vice President of APFM is Virginia Colin, who has been on the Board since the beginning of 2015, although, given the amount of dedicated work she already has done for APFM, it seems like many more years than that. Virginia from Virginia (no typo here!) has a background as a research psychologist and is the author of a book on attachment and co-author of The Guide to Low-Cost Divorce in Virginia. She first learned about mediation during her own divorce, after which she took the reins, changed fields to pursue her passion, and established Colin Family Mediation Group LLC, where she serves as Director, with four other mediators in the group. While serving on the Board, Virginia has devoted most of her energy to the broad goal of educating the public about our field. She has carried out this mission through a range of professional activities. Being a key player in setting up our new website, Virginia has contributed an enormous amount of time facilitating the creation of the content and technical aspects of our website — our face of Professional Family Mediation — and getting it out to the public. And, well in line with the integrity of her goals, she also hosts an Internet talk show, “Family Matters”. Virginia also shares Stacey’s goal for professional development of our membership, through great training conferences, mentorship, and other innovations to come. Welcome aboard, Virginia! To learn more about Virginia, read this interview. Stephen Evans will continue as our valued Treasurer. Stephen joined our Board in 2015. Before becoming a mediator, he left his previous work as a restaurateur and commercial property developer to do more meaningful (albeit less lucrative!) work. A reformed Californian, he now lives and works in Sandpoint, Idaho, where he established the Center for Family Mediation, which operates out of two different locations in Idaho. Stephen brings his long-time business background skills to help our organization manage and grow our funding. Hopefully, he will lead us into a financial spot where we will be able to fund a position for an Executive Director of APFM. To learn more about Stephen, read this interview. Bob Horwitz will continue serving as our Board Secretary—the documentarian of our organizational process. Bob joined the Board at the beginning of 2014, and he has been a solid voice of reason, always questioning our process in his search for accuracy—the essential quality of a skilled Board secretary. 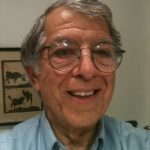 Bob resides and works in New Haven, Connecticut. He is a Clinical and Developmental Psychologist by training and came to mediation serendipitously, and followed it up by receiving top-notch training in mediation. His current clinical practice of family therapy is quite varied in age and problems, and he also conducts parenting mediation with high conflict cases. Bob also is actively involved in several Connecticut statewide professional organizations, in executive and Board positions. As an APFM Board member, Bob has been passionate about quality training for professional mediators. In pursuit of this goal, Bob has had a leadership role in creating and maintaining our excellent webinar program that has offered many terrific training experiences for mediators. As Secretary of APFM, he has kept us honest and accurate in terms of the decisions we make and the actions we decide to take in our monthly Board meetings. We thank Bob for his continued commitment to his quality work on our behalf. To learn more about Bob, read this interview. Thank you for the wonderful introduction. I am honored to lead this fabulous organization, and to work with our board and our members to move family mediation forward! I look forward to working with all of you this year!